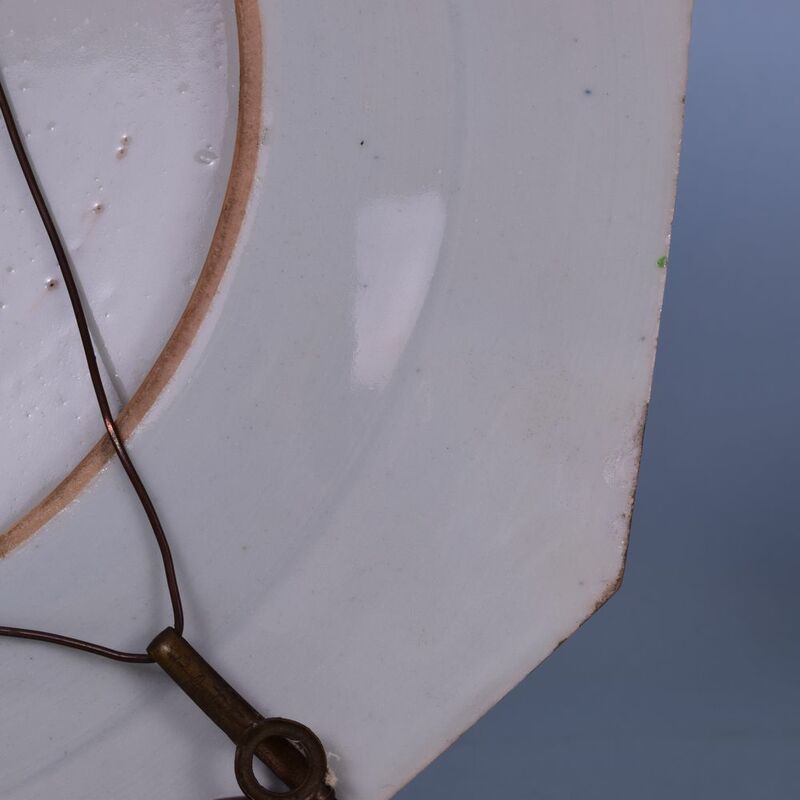 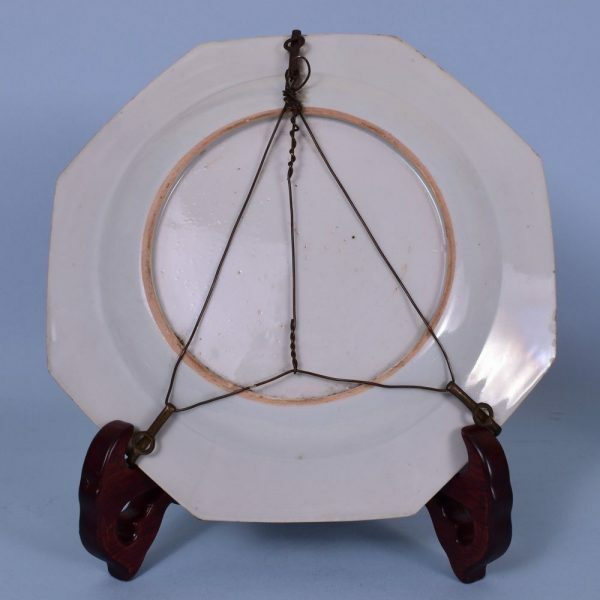 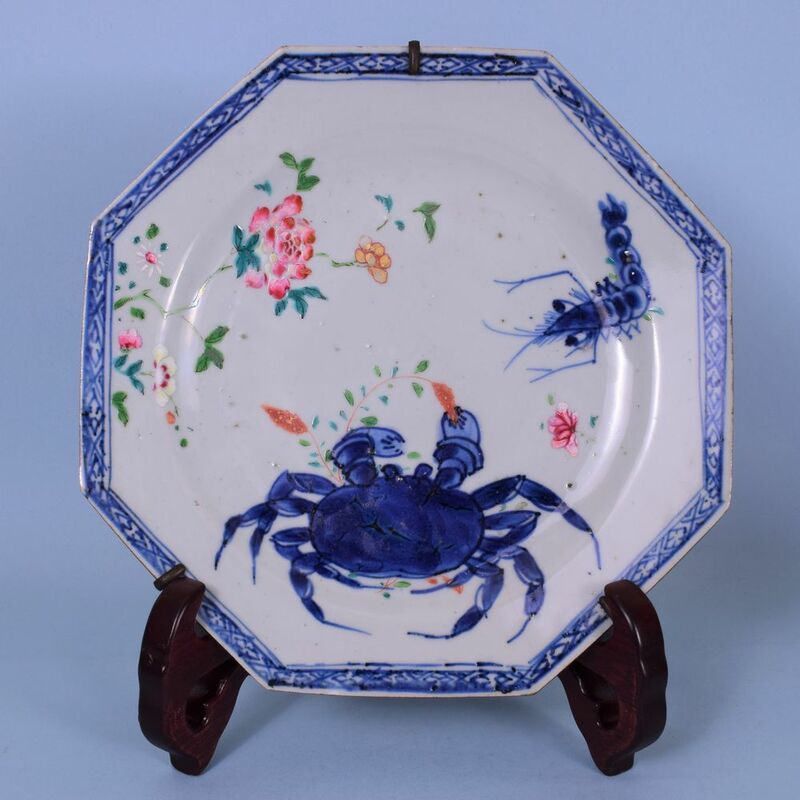 Chinese Export Porcelain Plate with Crab & Shrimp. 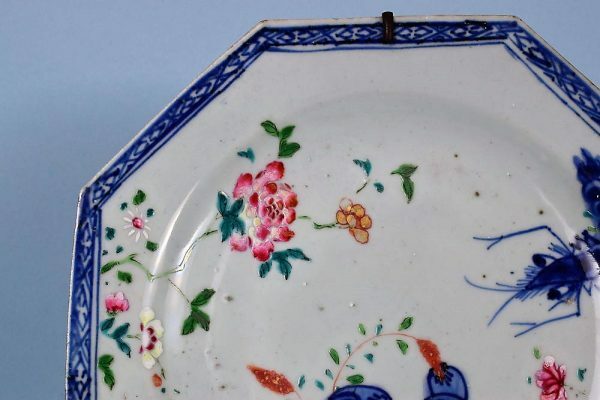 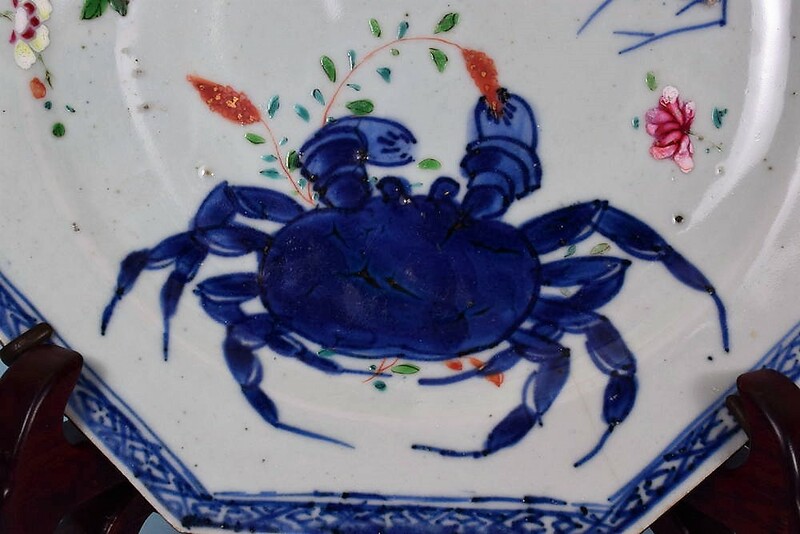 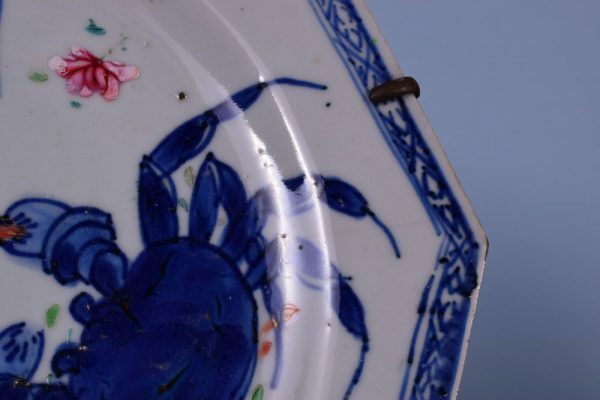 An unusual 18th century Chinese export porcelain plate, painted in underglaze blue with a Crab and a Shrimp, with additional floral decoration painted in famille rose enamels. 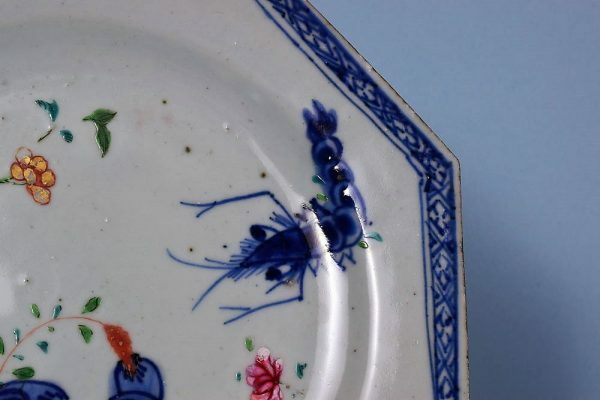 Condition: Fine hairline from the rim, tiny rim chips/fritting.